We pride ourselves on our Engagement Ring selection. Our in stock selection features hundreds of different styles of ring mountings. Whether you are looking for something simple and classic or a one of a kind creation, you will be sure to find it at August Stephenson. 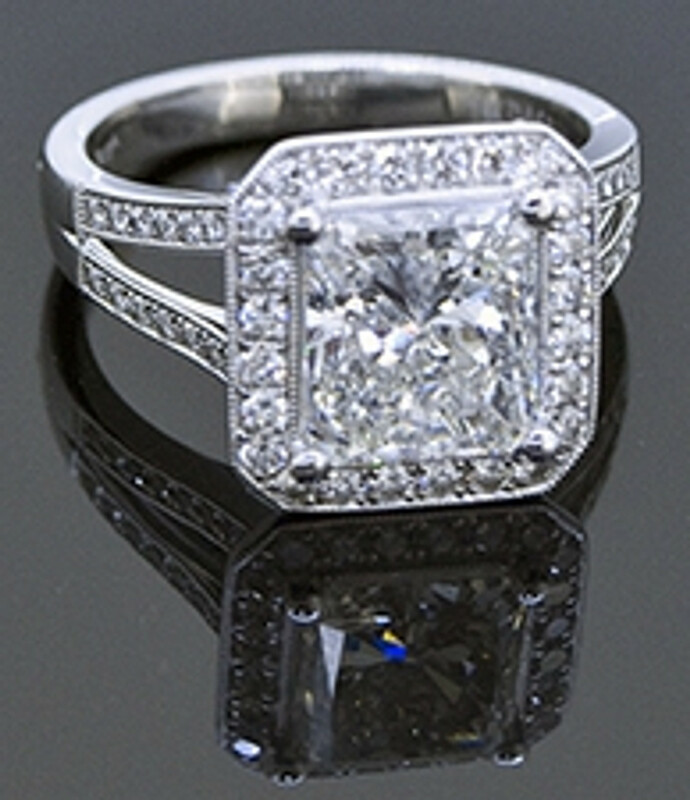 We also offer custom designed engagement rings and wedding bands. With our in house designer your ideas can come to life! Don't see a finished engagement ring you like? Check out our vast selection of Ring Mountings by on our Signature Ring Mountings, Halo Ring Mountings, or Classic Ring Mountings. We can mount any center stone in our settings.